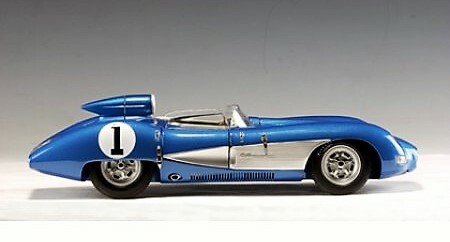 Having seen the one and only 1957 Corvette Super Sport in June 2015 at the National Corvette Museum (temporarily on loan from the Indianapolis Speedway Museum), I was enchanted by its racy looks and have since gotten the excellent 1:18 diecast model of the car produced by AutoArt. 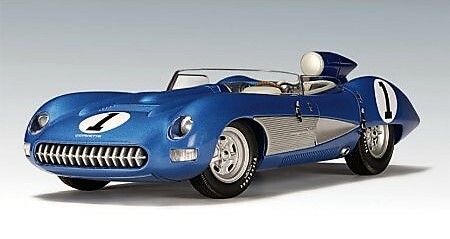 The Corvette SS XP-64 was designed and constructed in only five months, a hurried project which really left no time for proper testing and development. Although it set a lap record at the 1957 12 Hours of Sebring, reaching a top speed of 183 mph, it retired after only 23 laps. It had numerous issues, including cockpit heat that the magnesium body did nothing to dispel, bad brakes (a seemingly eternal problem with early Corvette racing cars), electrical malfunctions, and, in the last laps, serious control problems with the rear end. Soon thereafter General Motors joined the US industry association's ban on racing and that was the end of the Super Sport's career. 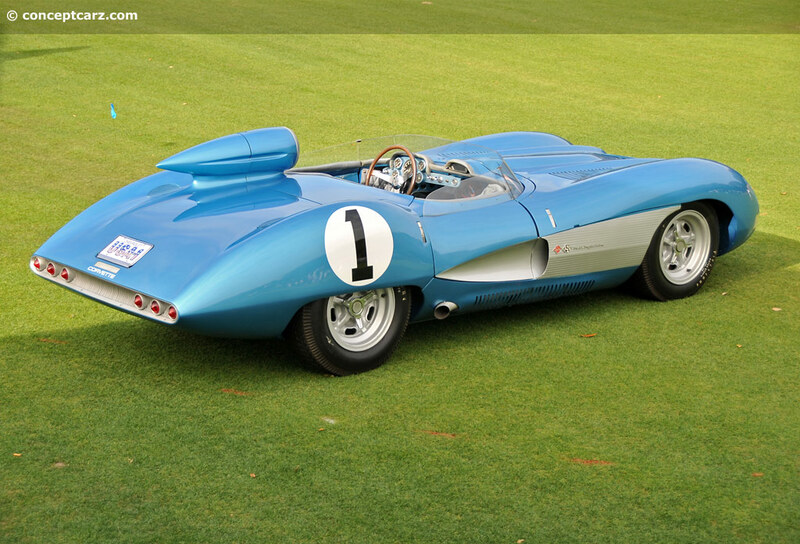 Like the later Corvette Grand Sport of 1963, it was a "could have been" with proper development. Here is some vintage video I have just found that is about the development of the SS, Corvette preparations at Sebring, and the race itself. Interesting stuff!